Growing up I always wanted a bedroom like Sarah's, so one day I created a list of all the things I saw in her room, things I desperately wished I had. And here is the list, to which I've added some other interesting things perfect for any Labyrinth fan. Sarah's books tell us that fairy tales, fantasy and magic populate her imagination. Plots, scenes and imagery from these books will appear later on in the film. Like Dorothy from The Wizard of Oz and Alice in Through the Looking Glass Sarah is transplanted into another world whose occupants resemble people and objects that are part of her every day life. 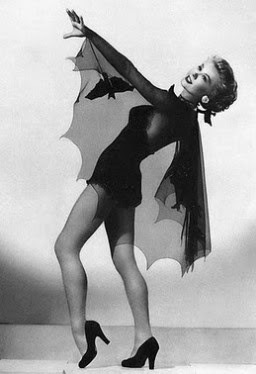 Sarah also identifies herself with a fairy tale heroine. Her argument with her father and stepmother in the opening scenes shows us that she sees herself as a Snow White/Cinderella figure. Scenes from these fairy tales will also be mirrored later. Hoggle gives Sarah a peach from the Goblin King that makes her fall asleep, like the poisoned apple in Snow White, and during her sleep she dreams of a masquerade ball and like Cinderella when the clock chimes, she remembers she must escape. 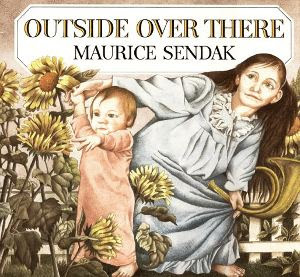 Outside Over There by Maurice Sendak is the book that Labyrinth is loosely based upon and a glimpse of the book appears on Sarah's bookshelf. The character of Ludo also resembles characters in Sendak's other book Where the Wild Things Are. Froud is an illustrator who specializes in fantasy art and was the conceptual designer on Labyrinth and Jim Henson's The Dark Crystal. (His son Toby also played Sarah's baby brother in the movie.) The book contains Froud's original sketches and artwork that were later turned into puppets. 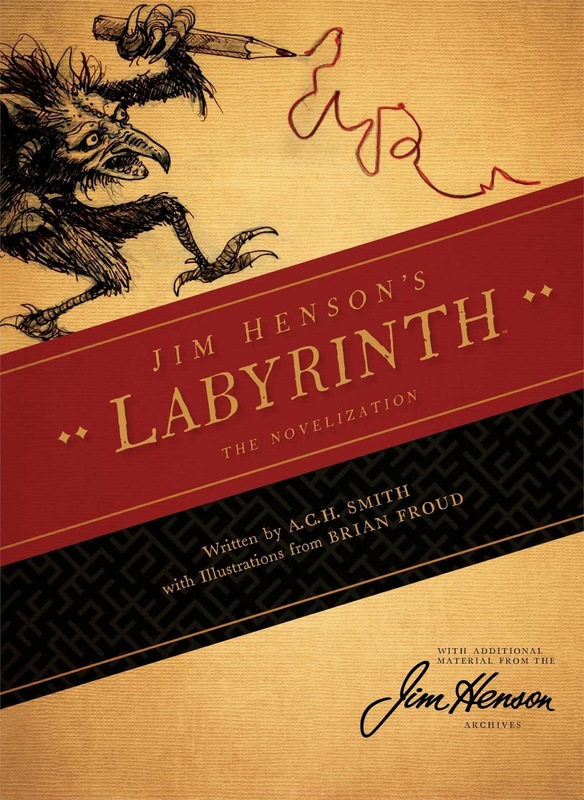 The book is co-written by Terry Jones who wrote the screenplay for Labyrinth and contains great back-stories for each of the goblins. 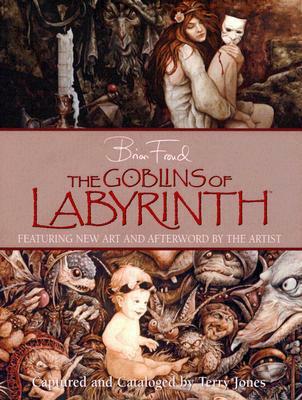 This is the official novelization of the film and has thankfully recently been re-released with additional illustrations by Brian Froud. It also includes the journal notes of Jim Henson. 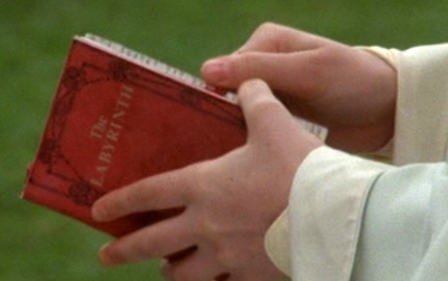 The novelization provides an interesting back-story to Sarah's mother that is only just hinted at in the film. 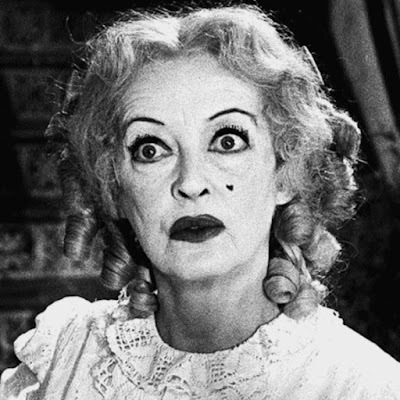 On the mirror in Sarah's bedroom and in a scrap book we see Sarah's actress mother standing next to a man that resembles and probably is David Bowie. In the novelization we learn that Sarah’s mother had an affair with this man, Jeremy, and ran away with him. The book also suggests that Sarah had a crush on him, making the Jareth/Sarah relationship more interesting and just that little bit more disturbing. This is an illustrated children's book based on the film. It is currently out of print but you can search for it used online. To celebrate the 30th Anniversary of the release of Labyrinth, this book features photographs, concept art and interviews with the cast and crew. 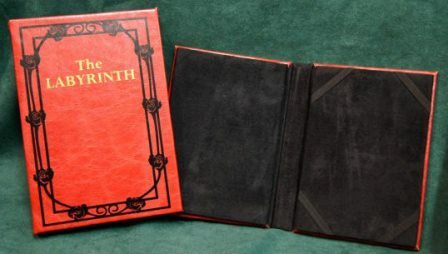 A quick search through Etsy reveals lots of fan reproductions of the Labyrinth book, read by Sarah in the opening scenes. 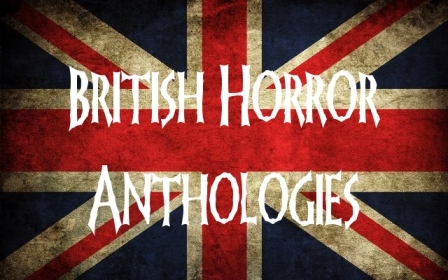 Including notebooks, e-Reader/iPad covers and creators selling a complete prop replicas of the book, with the text from the A. C. H. Smith novelisation. 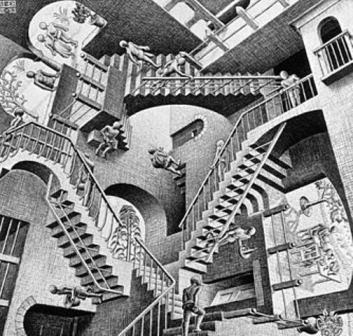 Relativity by M. C. Escher (1953). The poster appears on Sarah's wall and later forms part of the interior of the Goblin castle. 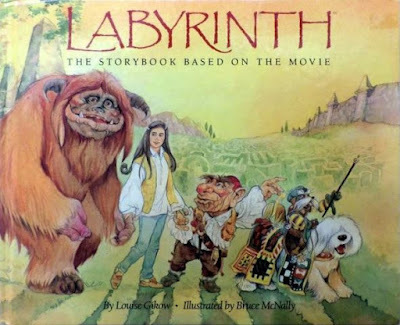 Each of Sarah’s toys become animated characters in her adventure, which suggests that the Labyrinth is all in her imagination. 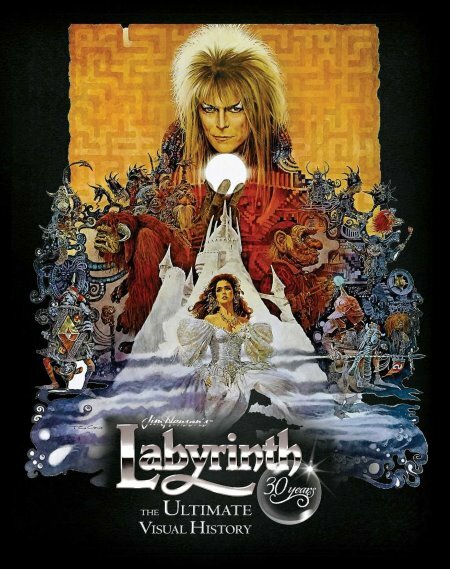 Sarah herself becomes the woman in the ball gown during the masquerade scene and the labyrinth game provides the framework for the entire film. However, whether or not everything is a dream is not entirely determined. 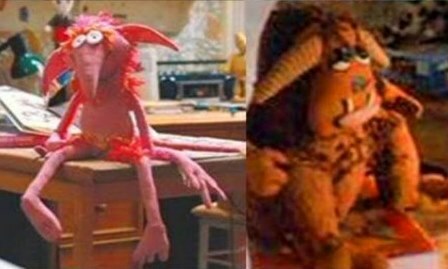 The filmmakers left that question open (so as not to destroy our childhoods) as at the end of the film the animated characters happily join Sarah in her bedroom. 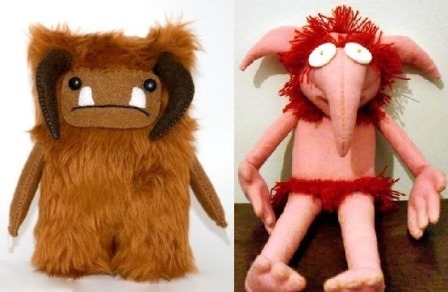 Here are a few toy reproductions available at Etsy. 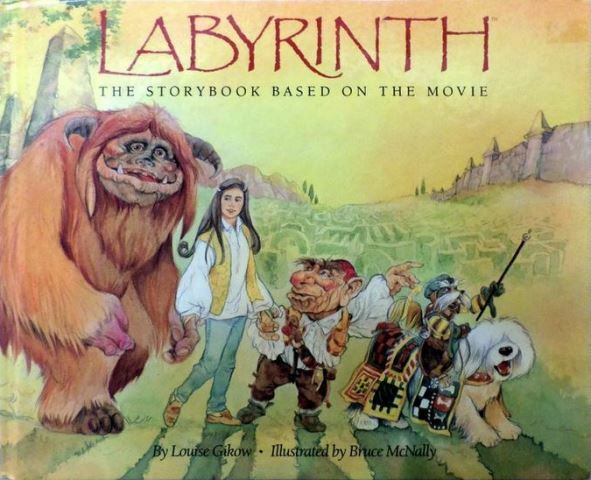 Also for Labyrinth fans keep a look out for Labyrinth The Board Game by River Horse.